Welcome to AWAY's press kit! We tried to cover the essentials, but if you need any additional information, feel free to reach out to us at info@breakingwalls.co and we'll happily make it available. Set in a post-apocalyptic nature documentary, AWAY takes you on the Sugar Glider's journey across a rapidly decaying planet as you make your way to safer ground. Sitting near the bottom of the food chain, this nimble marsupial makes up for its small size with superior agility as you jump, climb, and glide through your surroundings. 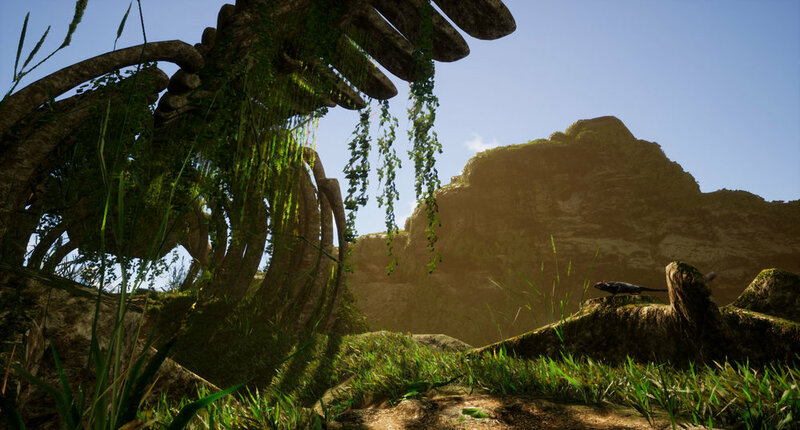 From mighty treetops to the forest floor, immerse yourself in nature and uncover mysterious artifacts as you explore AWAY's breathtaking environments through the eyes of the beast. Fend off vicious predators and hunt your prey as you encounter animals of all shapes and sizes in the perilous lands of AWAY. Stray off the beaten path and piece together the mysterious origins of your world as you tackle a variety of side-quests throughout your journey. Having worked on countless major soundtracks, ranging from games like Resident Evil, Call of Duty, and Destiny to movies such as Mad Max, Transformers, and Planet Earth II, Mike Raznick brings his experience as a multi-award winning composer and audio director to the AWAY series with an enchanting orchestral score. To request a press copy of AWAY, simply send us an email at info@breakingwalls.co and we'll be happy to send one your way! Breaking Walls is an independent gaming studio based in Montréal, Canada, an international hub for innovation and expertise in game development. With decades of experience working on AAA titles such as Assassin's Creed, Far Cry, and Rainbow Six, our team has a passion for creating immersive, visually stunning, story-rich entertainment experiences.